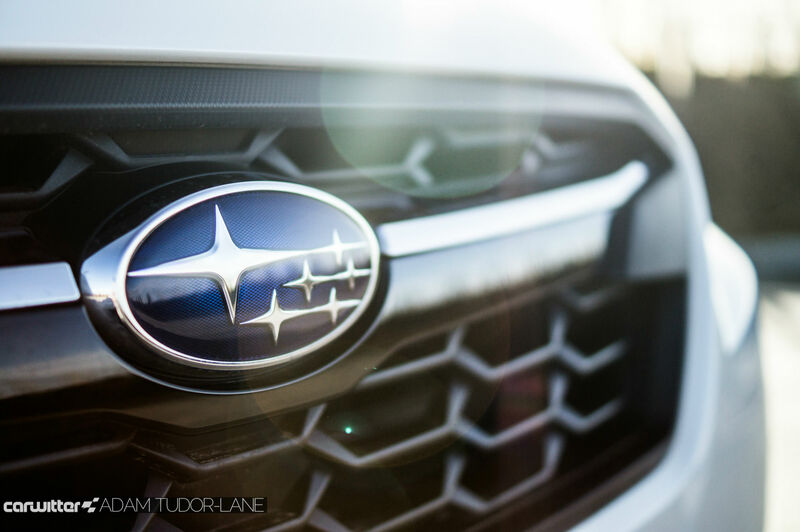 Subaru have been struggling for a while. Last year they sold less than 3,000 cars in the UK. It’s because people don’t get them, they don’t understand what they are or their place in the market. 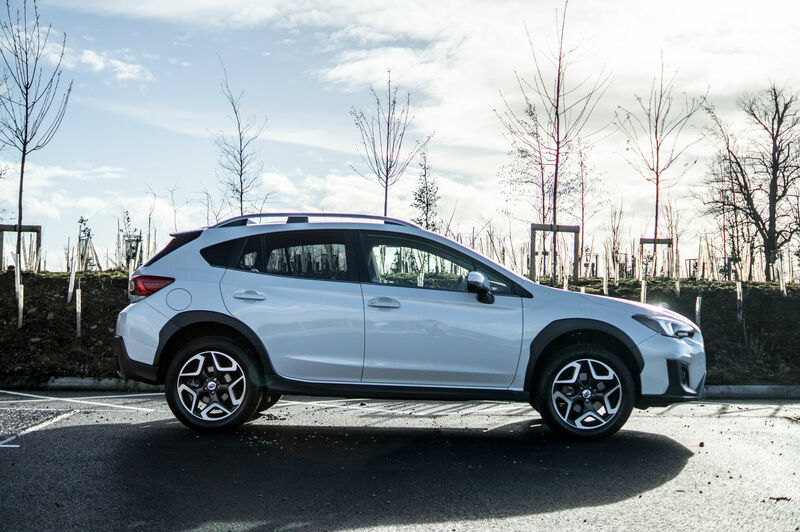 To change this a new tagline has been developed ‘Better where it matters’, and the all-new XV is certainly better than the old one. Starting at £24,995 for the entry level 1.6 litre petrol, I drove the bigger, beefier 2.0 litre model. 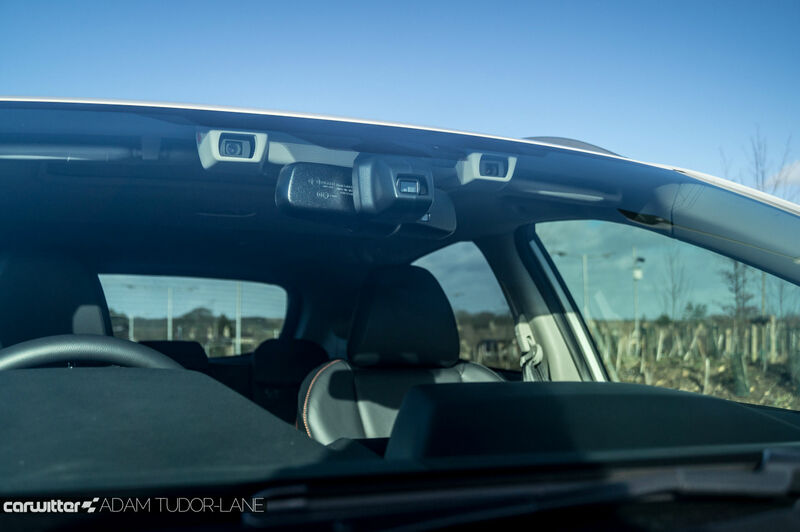 In range topping ‘Premium’ trim the price came in at £28,495. 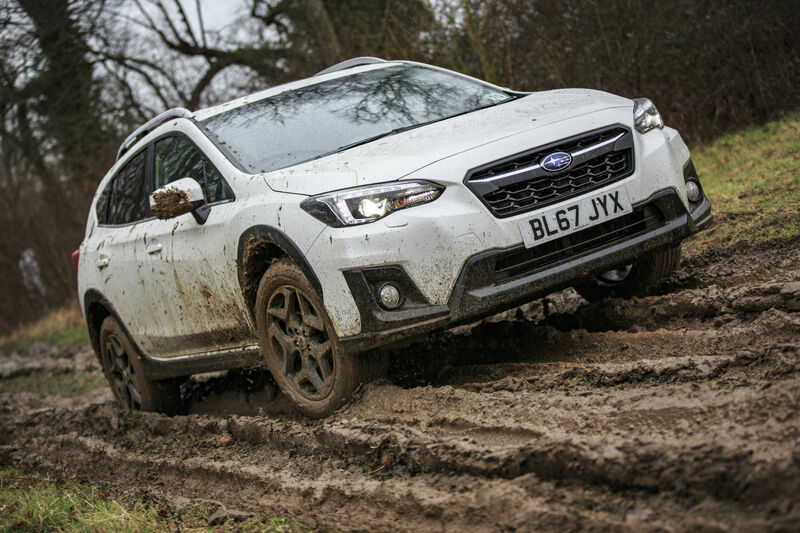 Put the old and new side by side and you’d be hard pressed to see that this is an ‘all-new’ XV. It looks like a mild facelift over the last generation. It’s not. 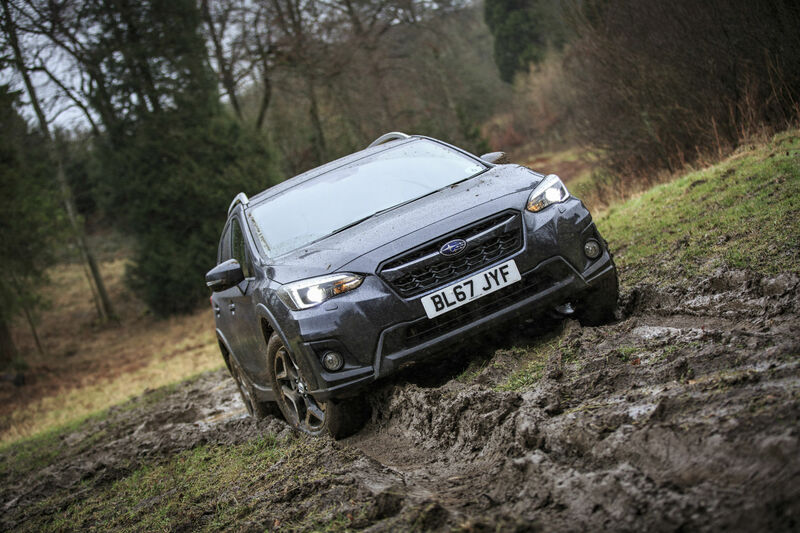 Built on a totally fresh platform, dubbed ‘Subaru Global Platform’ or SGP for short, the XV is definitely ‘new’. So it’s questionable why the design remained so closely bonded to the old one. 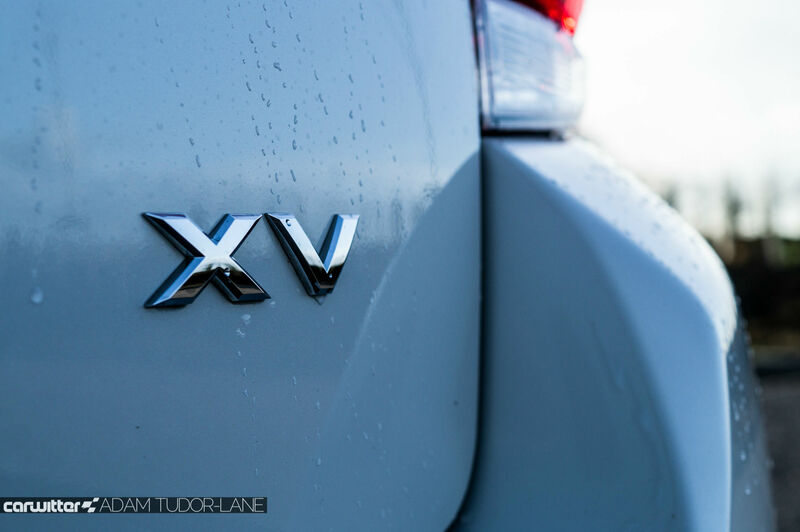 Matter not, the XV is still a strong looker. More chiselled and angular compared to its forbear, with some extra cladding around the arches, the rear lights now pour into the boot and that gurning front chin has been chopped. Now it’s always a bold move when a manufacturer pitches old against new. But that’s exactly what Subaru did with the XV. Taking the new car out onto a runway I hammered up and down through a slalom, around a tight left hander and onto an emergency brake situation. Body roll was tight and well controlled. 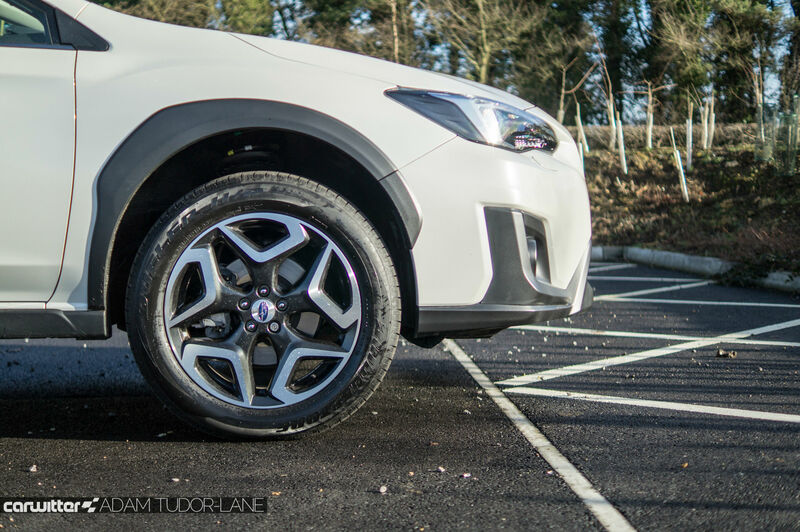 Even when flooring it around the greasy corner the XV tilted but remained composed. That’s due, in part to the incredible increases in rigidity over the original. There’s been a 90% increase in lateral rigidity, 70% in torsional, 70% stiffer front suspension setup and a whopping 100% increase in rear subframe rigidity. 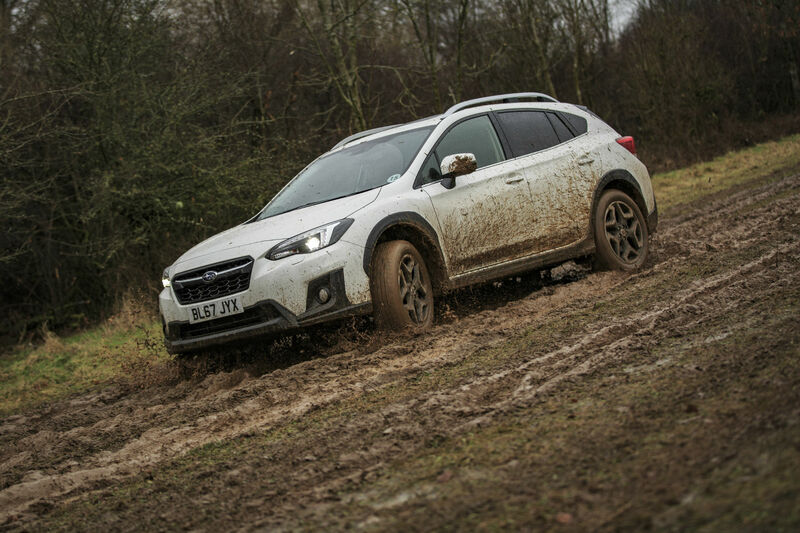 I was left thinking that the old XV must have been made from blancmange. I wasn’t far off. Taking the old model out across the same course, the differences were glaringly obvious from the first chicane. Body lean was far more pronounced, almost feeling uncontrollable by the third fast left/right combo. I swear the rear left was off the ground through the tight hairpin; the lean was that bad. Whilst the final test, an emergency brake and steer ended up killing three cones. The lack of sharpness and poise was noticeable…to say the least. 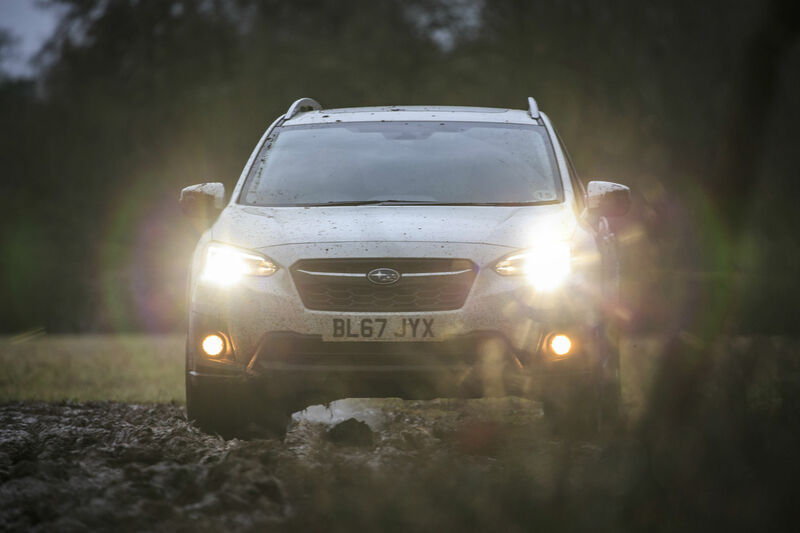 Once out on the open road the new XV really started to shine. Ride was comfy, composed, and quiet. 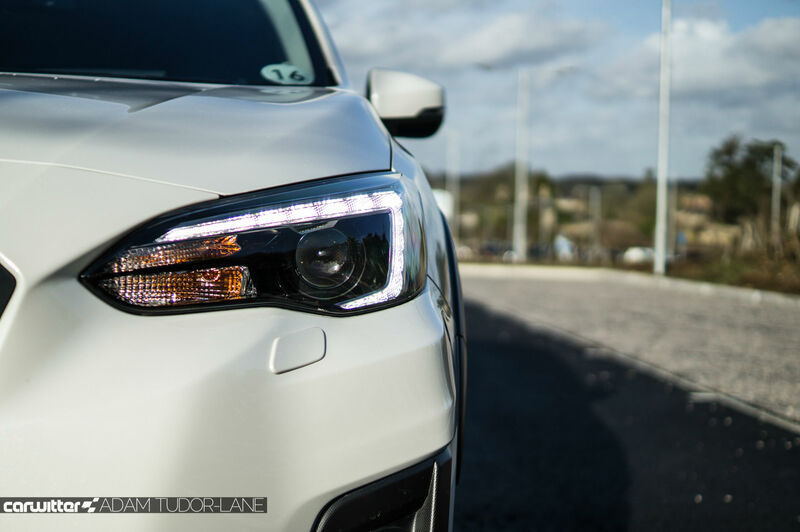 Potholes and cats eyes were nothing more than a thud and a slight tremble, add in the crisp, direct steering and the Subaru was coming together as a real competitor in its class. Even the often loathed CVT gearbox was well refined, keeping quiet for the most part, with no random red line outbursts. Oddly they’ve also given the ‘box ‘gears’. They come in the form of a stepped speed control, which matches the engine noise to acceleration. So instead of it being all out of character – like a normal CVT is – it feels and sounds like driving a normal auto. 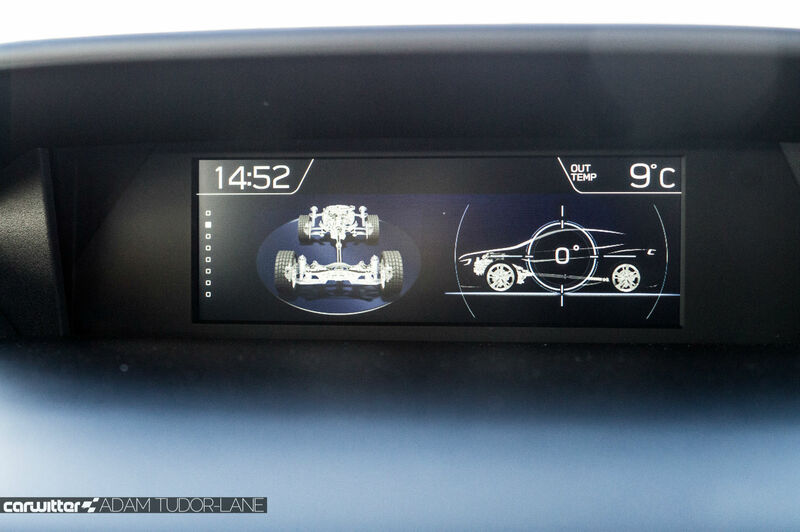 There’s also a manual mode on the 2.0 litre, which allows you to temporarily take control. 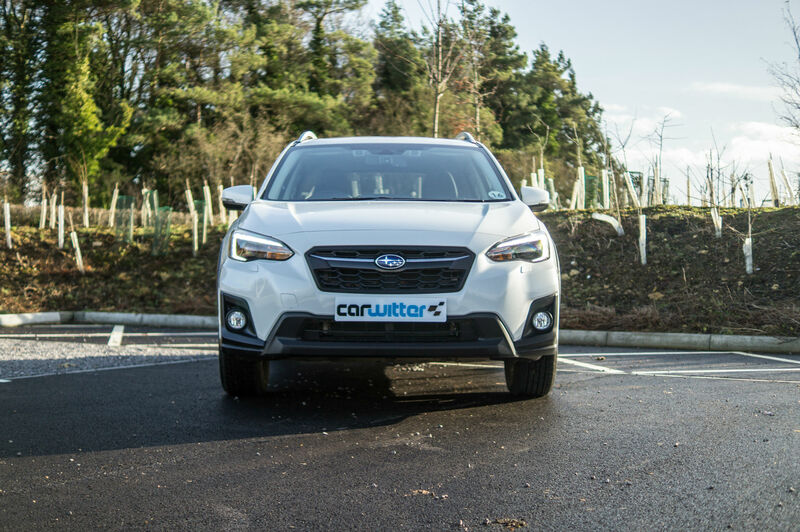 It may seem a bit gimmicky, but it’s handy to get the peak torque before an overtake, rather than relying on the CVT to do its thing. Oh, and you can set off in second, for when things are really slippy. 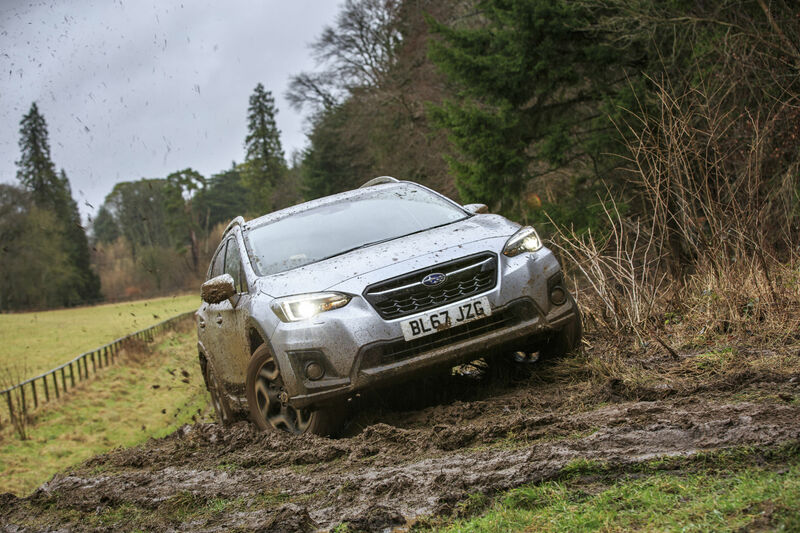 Heading off road I wanted to see if the XV lived up to what Subaru’s are known for – getting you in and out of tricky situations with ease. This was no normal off-roading though, this verged on mud plugging and was pretty much axle deep for the majority of it. 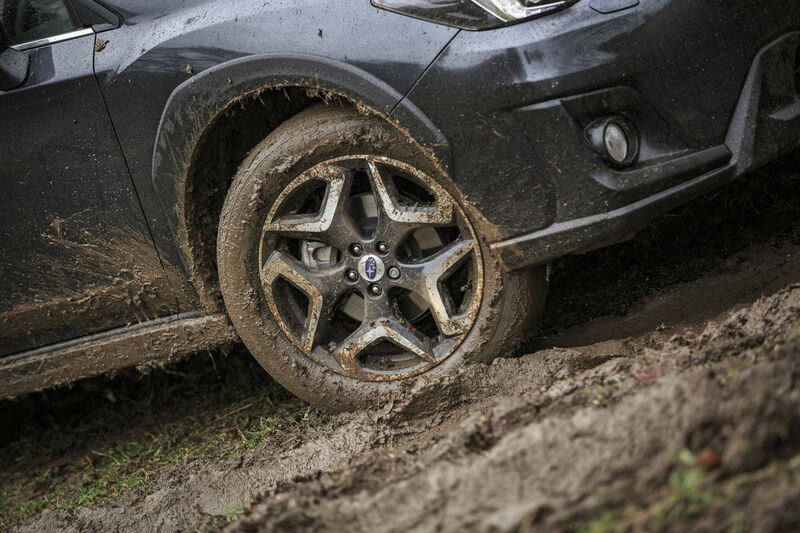 Keeping momentum up was key, I didn’t get stuck…even on standard road tyres the XV wriggled, slipped and pulled me through. The best bit about it? 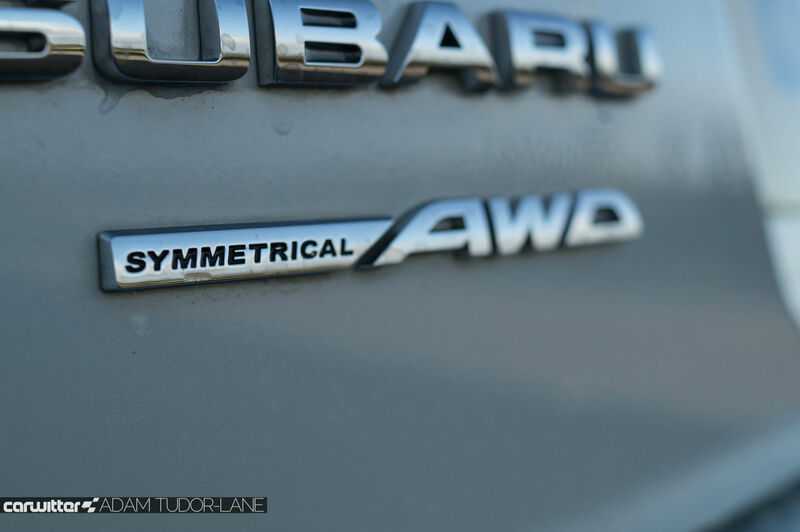 No settings to change, no high or low gearbox, it just does it thanks to the symmetrical all-wheel drive. When things really get bad you can activate ‘X-Mode’. This takes control of the engine, gearbox, AWD system and brakes to keep torque at its optimum. Naturally there’s hill descent control, with your speed being modulated by the accelerator pedal. 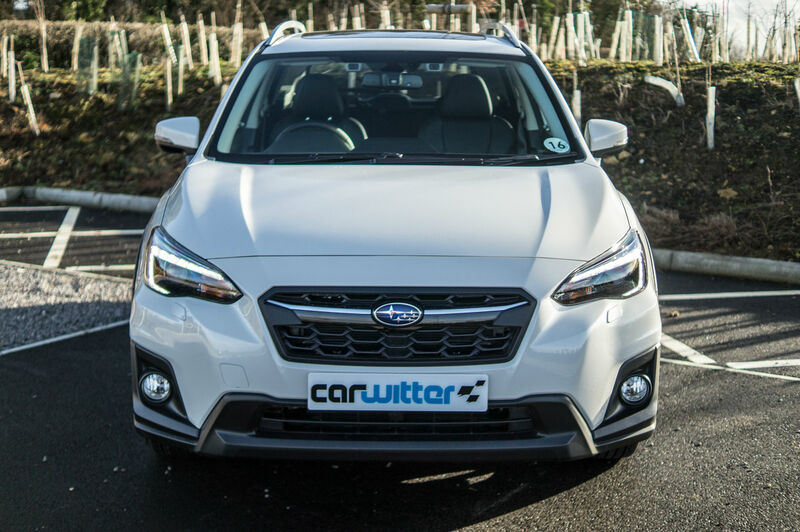 Subaru have also fitted all new XV’s with their EyeSight camera system, a stereoscopic device that reads the road ahead. It will flash warnings if you’re about to have a prang, and it will even stop you to a halt if you don’t react, as seen below. 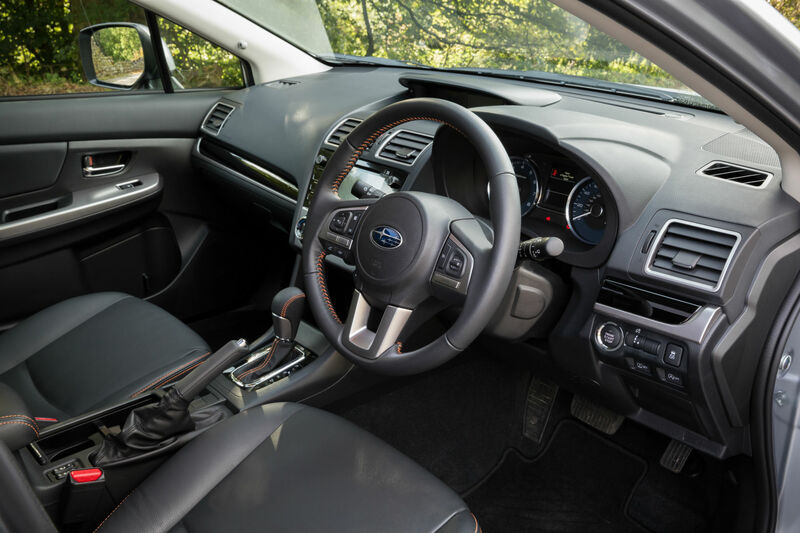 Once inside the XV you’re met with a neatly laid out dash, it’s quite high and built up around the driver with the infotainment screen sitting up top. Navigating your way around the menus was easy, thankfully there are hard buttons that act as shortcuts. Subaru have also updated the small LCD screen that sits in the middle of the dash. This shows an inclinometer and what the all-wheel drive system is currently doing. It’s now full colour, rather than being some retro 8-bit affair like in the old XV. Overall the quality is good, plastics are solid and the finish on the centre console is reminiscent of current Lexus models. There are a few cheap looking switches here and there, the heated seat ones look particularly parts bin. Premium models get leather seats, whilst entry level makes do with fabric. All still have the funky orange stitching though. 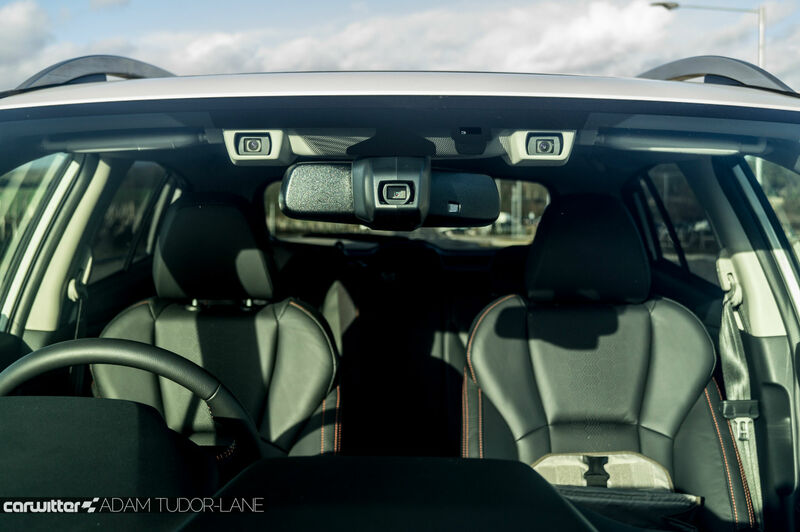 Space in the back is a little on the tight side if you’re taller than average, head room is somewhat stunted – most likely due to the all-wheel drive system preventing a lower seating point. 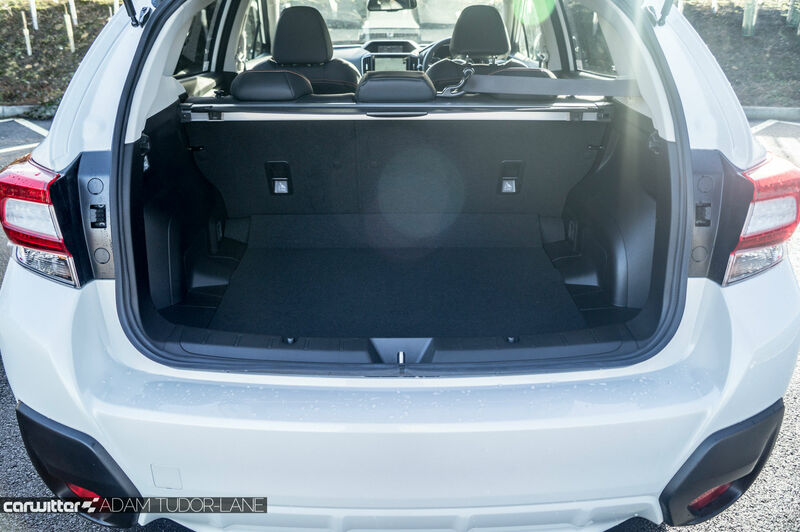 Boot space is 385 litres, which is a little small for a crossover but the wide boot and lip-less entry make up for that. 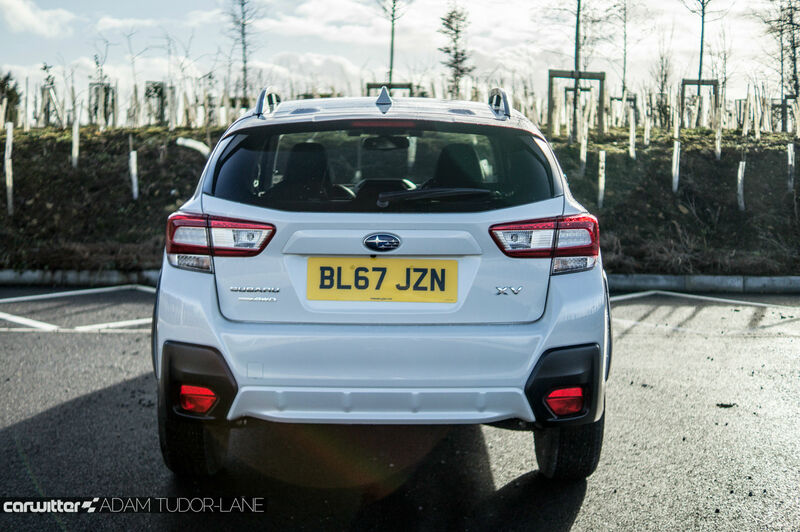 A four wheel drive Qashqai will set you back £28,505, so the XV Premium pips it to the post on price…but only just. 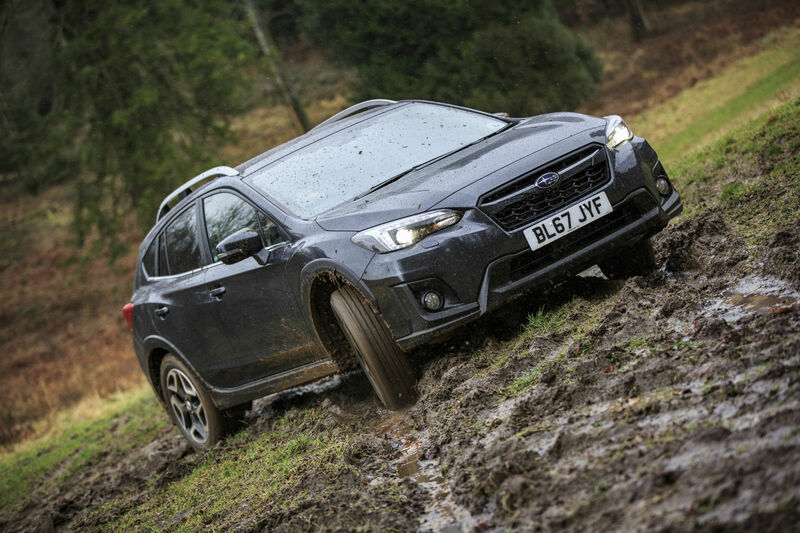 In terms of driving dynamics, I’d say the XV takes the win, it feels lighter and more agile than a Qashqai. 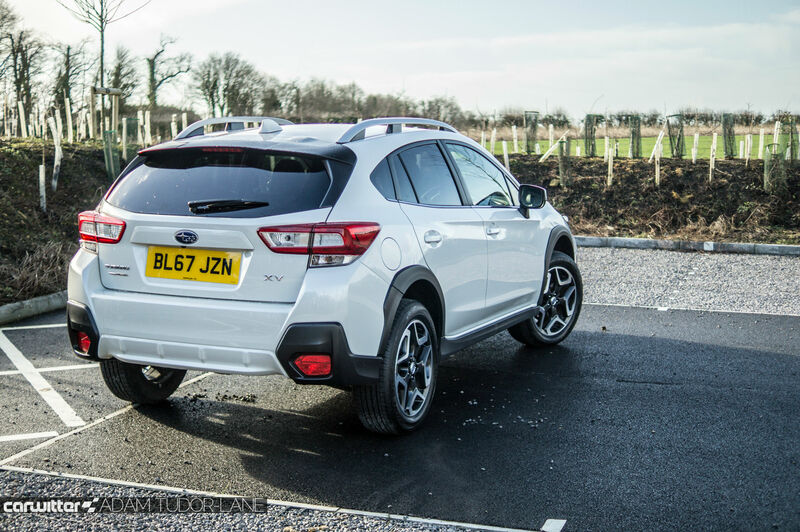 Subaru have done wonders improving the XV over the original, and it’s now a car that really deserves to do well. Pricing could be keener to make it a strong alternative as the marketplace is awfully crowded. Ultimately it’s different, we like different.